Hosting a corporate event is no picnic and can be quite stressful even for experienced planners. As opposed to popular belief, nowadays corporate events are not sombre affairs where stiff faced professionals hover over the table and leave. At this day and age, corporate gatherings are remarkably different. They are dynamic, well organized, entertaining and blend the casual with the formal quite successfully. We all know that planning a corporate event is indeed time-consuming: a lot of factors come into play and need thoughtful consideration before organising a party. Here are some ideas to get you started in putting together a great company event especially when a busy Holiday season is upon us. Corporate events have various objectives, therefore, outlining the purpose and outcome of what it is that you want to accomplish with the event is crucial. Be it launching a charitable organization, funding a project, honoring partners or celebrating company’s achievements, corporate holiday parties’ objectives and formats vary greatly. Being aware of the requirements and the expectations will help you focus on the format, the right venue and prepare better for a memorable event. Rule #1 – secure the best venue you can afford. Booking at least half a year in advance and more will give you better options to select the dates you need at popular venues and will allow enough time to prepare for the big day. The chances of getting the desired location will increase. Therefore, you won’t be stressing searching for a venue at the last minute. You don’t want any unnecessary “surprises” at the event when vendors fail to show up or deliver to your expectations. Do your research and make a list of top vendors with the best reviews and check their references. This will help you decide which vendor to work with. If they have proven reputation, chances are your event will run smoothly based on opinion of others. We offer a list of recommended vendors that we work with at Cal Aero Events. Hiring a professional event planner for bigger events is worth every penny. Making a smart decision off the bat will save you money in the long run. By hiring an event planner you are eliminating a lot of risks and extra expenses as they bring knowledge, experience and thorough attention to details. Event planners take care of things that wouldn’t even cross your mind. When you arrive at the event, everything will be organized the way it should be and you can spend time networking and entertaining the guests. CEO of your company will appreciate budget cutting initiatives as corporate events can get very pricey. With a bit of planning and research, you can cut costs on such items as flower arrangements by re-using and re-purposing them as centrepieces. It’s the little things that you don’t realize that would end up saving you a fair bit of money. When planning a corporate event, get people to RSVP to get a sense of how many people will be attending. This will help you save money on food and beverages. When you organize a professional event, conference or a large sales meeting, very often sponsors are the ones who finance the event and make it possible. Unlike informal gatherings where the host is expected to pay for everything, corporate events can seek the help of sponsors. Even if your event is not very big, usually you can find local businesses that will benefit by the exposure at your event. Local real estate agents, restaurants, service providers are always looking for marketing opportunities. Zero in on your target market and pitch them the idea ahead of time. Sponsorships can take some time due to negotiations and approvals on both sides but some leg work ahead of time will pay off with hefty financial support. 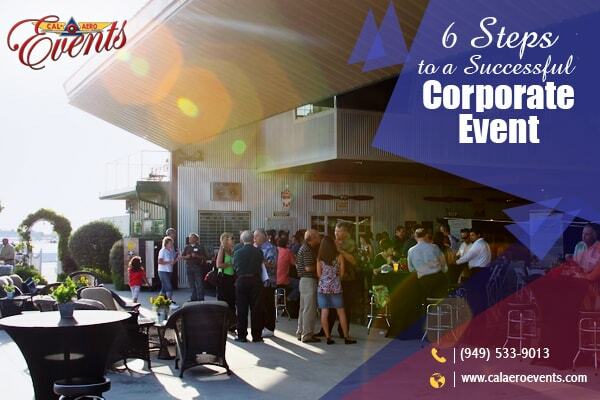 It is a busy season for Corporate Event Venues In Inland Empire. Hope this blog will give you some ideas to spring into action to get your company ready for fun Winter Holidays and Spring events!